The Variousound Sessions (https://www.variousound.com/) is an experimental concert series looking to redefine, explore, and expand the definition of “chamber music” within contemporary-leaning classical music, groove-based music, improvised free music, and the third stream. GADADU celebrates Outer Song’s release back home in Brooklyn, opening for fabled West Coast jam band Tea Leaf Green. 7:15 Greg Humphrey’s Electric Trio. We're returning to this cozy Portland, ME venue as part of the Outer Song Release Tour. GADADU’s first appearance in D.C. Two sets @ 7 and 8:30. Come celebrate the release of our second album, Outer Song! This will be an epic triple release party with kindred musical spirits Valipala and Fullmoon Groove. Please note that the venue has changed. Advance ticket purchases will be honored at the new venue, Lady Stardust. Join us for our first show of the 18/19 season! We're gearing up for the Outer Song album release in October, and this show will celebrate the premiere of a new music video in collaboration with video artist Pasakorn Nontananandh. Come hang with GADADU & Fake Tapes on Sunday, May 13! An evening of music at The Bowery Electric's Map Room featuring solo sets by Edenspore (Philly) and Laura Fisher (New Orleans), followed by a full band set by GADADU (Brooklyn). Edenspore is a multifaceted business and solo project to hold the works of Robyn Mello: Earth Worship. Music. Permaculture Design. Classes and Workshops. Herbal Products. Visual Art. Deep Dreaming. The power of Mello's entrancing voice and vocal range draws people in, and her lyrical skills hold them for the duration of a performance. Her songs stir people with dreamy music and usher them through their days with calls to action to listen deeply to the earth and each other. Laura Fisher is a classically trained and contemporary minded pianist, keyboardist, vocalist, composer, poet, and multi-media collaborator residing in New Orleans. Her current projects include Tranche (Bubble Bath Records), a dreamscape grunge band; Matron, an indie math rock band; Phantosmia, an ambient-electronic solo recording endeavour/live improv collective; and Dance Theatre Surreality (DTS), a nonprofit and feminist Parisian-American creative company for which she serves as resident composer. Fisher has also begun performing solo works for piano and voice again after a long hiatus – simply under her name – joined by an electronic dream pop backing band when in New Orleans. GADADU plays adventurous, groove-based music with elements of soul, jazz and pop. The band's unusual instrumentation results in a wildly colorful improvisational framework swept together by lead singer Hannah Selin, whose haunting vocals are often doubled by viola or vocoder. 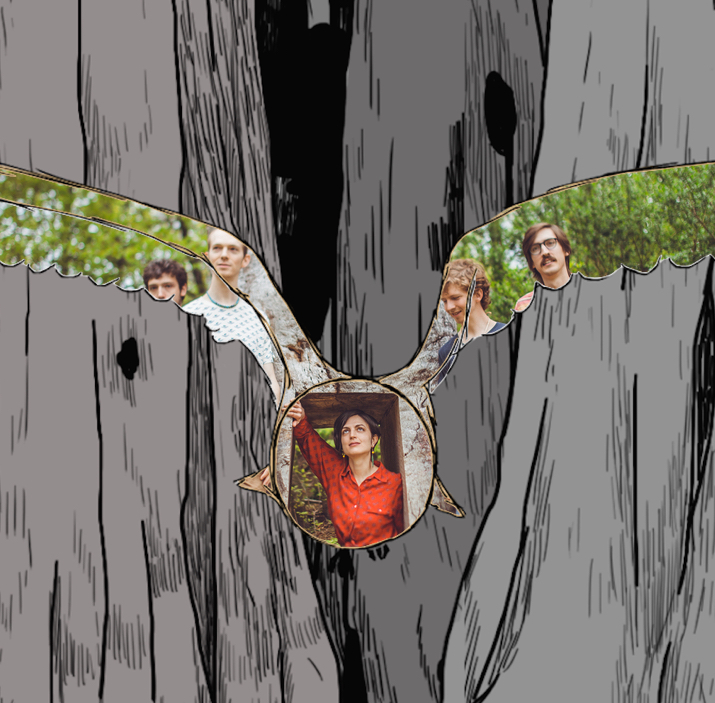 GADADU released their debut album And I See Night in February 2015, followed by animated video-single "Bay Songs" in November 2016. Their second album is scheduled for release in late spring 2018. We're looking forward to performing in our own neighborhood as part of the PLG Arts Jazz at KD's concert series! We are excited to join forces with Atlas Lab, an awesome Boston-based indie-folk band, for our second-ever show in Boston as part of their spring residency at the Plough and Stars. Join us to celebrate the release of BAY SONGS, our new music video/single! This concert will benefit Launch Progress Political Action Committee, an organization committed to electing progressive and young political candidates from diverse backgrounds with a focus on local elections and grassroots organizing. Part of the 2017 Composers Now Festival. Come hear brand new tunes at GADADU's first show of 2017! This concert marks the culmination of a month-long collaboration between the Queens College New Music Group and GADADU, Ensemble-In-Residence at the Aaron Copland School of Music for the fall of 2016. GADADU will premiere new student works alongside two new GADADU originals. Come say hi (and bye, for now)! We're celebrating the start of GADADU's northeast tour with the incredible Mister Lies and ellen o on August 3 at Friends and Lovers. Buy tickets online at http://bit.ly/29wIylv. Doors at 8, $8 cover. RSVP on Facebook! We're excited to play this spring show with Bridget Davis and the Viking Kings! Doors at 6:30, sets at 7:00 (GADADU) and 8:00 (BD&VK). Tickets $8 at the door and online. Come hang with us! Excited to play as stripped-down GADADU(O) at Brooklyn's own Jalopy Tavern with our friends ADAH AND HER BROTHER. Adah and her Brother play at 8, we go on at 9, no cover. Come hang! That's right, a midnight show. Have a crazy Saturday night with us and hear our new set! Ambient duo show - rarely seen! Join us for an evening of super-unique sounds at The Living Room in Brooklyn! We are so excited to play with ensemble, et al. and the magical Balún. 10:00 - ensemble, et al. The resonant, tonal palette of chimes, bells, and percussive ringing instruments effectively drum across the tight wire between post-punk textures, airport spaces, and the endless grass fields of the mind. Brought together by their love of experimental films, unusual musical instruments, electronic music, and a shared pop sensibility, Balún was formed in San Juan, Puerto Rico by José Olivares and Angélica Negrón. Currently Based in Brooklyn the dream-pop group now also includes Noraliz Ruíz and Raul Reymundi. The band is currently working on their next full length which was funded thanks to a successful Kickstarter campaign. Originally formed as a duo in 2013, GADADU has grown into a collaboration between five NY-based musicians committed to bringing new music to life. With a kaleidoscopic sense of time and texture, GADADU weaves driving rhythms, dynamic shifts and unorthodox song forms into a unique and mesmerizing sound. Amazing lineup at Manhattan's illustrious (le) poisson rouge. Don't miss this one!